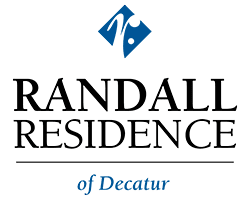 At Randall Residence of Decatur you will find a caring, professional staff committed to your happiness and well-being. You can attend an array of social events and learning experiences or choose to enjoy the privacy of your personal comfortable suite. Healthy, delicious food is prepared with your needs and preferences in mind and served in the lovely dining room. We take pride in our ability to partner with our residents and families to provide a satisfying independent lifestyle.